Edward Scissorhands #5 gives Edward a true moment of bravery and turns people’s opinions around on him. Previously in Edward Scissorhands #4: The townspeople chased Edward when they should have been chasing Eli … and they burned his house down. 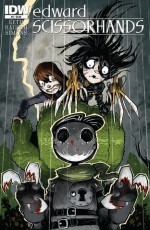 Edward Scissorhands #5 gets the happy ending from writer Kate Leth that the original movie didn’t give the titular character. It’s a very sweet issue and in quite a dark move she also wraps up the trouble with Eli that has been the catalyst for the drama of the entire comics series. The townspeople in Leth’s story suffer from the same brand of stupidity readers of Edward Scissorhands #5 will recall from the movie. 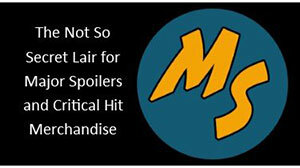 Megs is stuck being the voice of reason, but her youth is her downfall in a move that mirrors the way young women are treated in the real world. Unfortuntely, Megs is left to her own devices when even her mother can’t see past the collective consciousness to the purity and innocent that Edward truly represents. This issue deals a lot with apologizing for missteps. 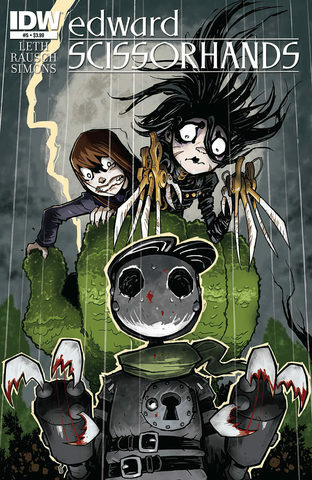 In Edward Scissorhands #5 the titular character – with Megs in tow – focuses a lot on removing Eli and the threat he poses from the general population. 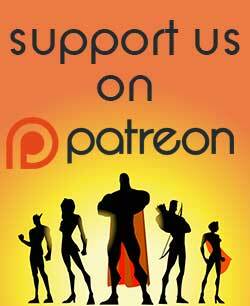 Further than that, Eli makes amends in a truly drastic way, by removing himself from creating more trouble for his own creator/father. This making amends by a character that readers have been taught is likely incapable of feeling remorse is a really lovely and profound moment and makes picking up the issue worth it for that alone. Toward the end of the issue Leth wraps up the apologies of Edward Scissorhands #5 by having Meg’s mum accept Edward and his truly good nature. It takes a lot for her to see beyond the end of her nose, but she manages it. 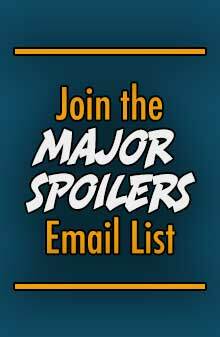 It earns her the forgiveness of Edward – who must have been a mythical figure in her life, given her parentage – and of her own daughter whom she has been at odds with since the first issue. Leth has tied her narrative up nicely in Edward Scissorhands #5 and pulled some really touching moments from unexpected people and places. She even manages to pay homage to a fallen character who never really got a chance to fulfil what potential they had without taking anything away from either Edward or Megs. 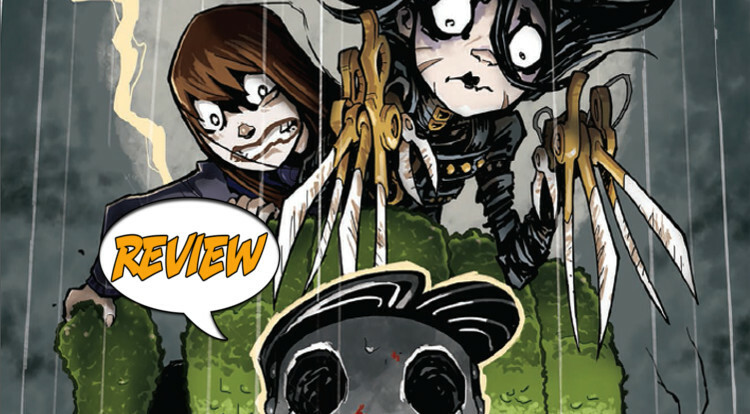 Edward Scissorhands #5 is a satisfying conclusion to this series and probably the strongest issue of the run. Good stuff. Drew Rausch has done solid work throughout the series and he really gets the chance to draw some weird stuff in Edward Scissorhands #5. He gets the opportunity to take characters and stretch them visually into situations of high stakes – often involving violence. Rausch’s linework involves a lot of sharp angles, hyper-designed shapes and big eyes and it really complements the story being put on the page. Rausch’s work on the scenery and settings of Edward Scissorhands #5 is also heightened and very well managed. Until the final pages nothing feels safe, as if everything present is trying to stop Megs and Edward from what they have to do. By the end of the issue Rausch is able to soften his usual Edward Gorey-esque linework and bring some of the sunshine and softness to Edward, Megs and her mother. He does a great job in this final moment of balancing his aesthetic with the shift in mood that the story earns. Edward Scissorhands #5 is a great ending. The creative team earns each emotional twist and beat and there’s even a moment that might surprise you.